Whether it's covered boat and RV parking, wide driveways and covered drive through access or temperature-controlled units you seek, we have it all and are happy to assist with storing your valuables. We begin with the security of your belongings. Our entire property is under camera surveillance and well-lit at all times, and our friendly office staff is on-site every day except Sunday. Of course, renters have access to their units 7-days-per-week and 365-days-a-year through our private, pin-accessed gates. We offer a wide variety of unit sizes, as well as climate-controlled and indoor, enclosed and ground floor units for the storage of any of your belongings, large or small. We are also proud to offer business suites. These economical and convenient spaces are perfect for professionals who need an office, but don't want the headache of renting and maintaining a building. We are happy to accept deliveries, offer a wide assortment of packing and moving goods for sale and try to make the experience as convenient as possible with month-to-month rentals, no deposits and online bill pay. 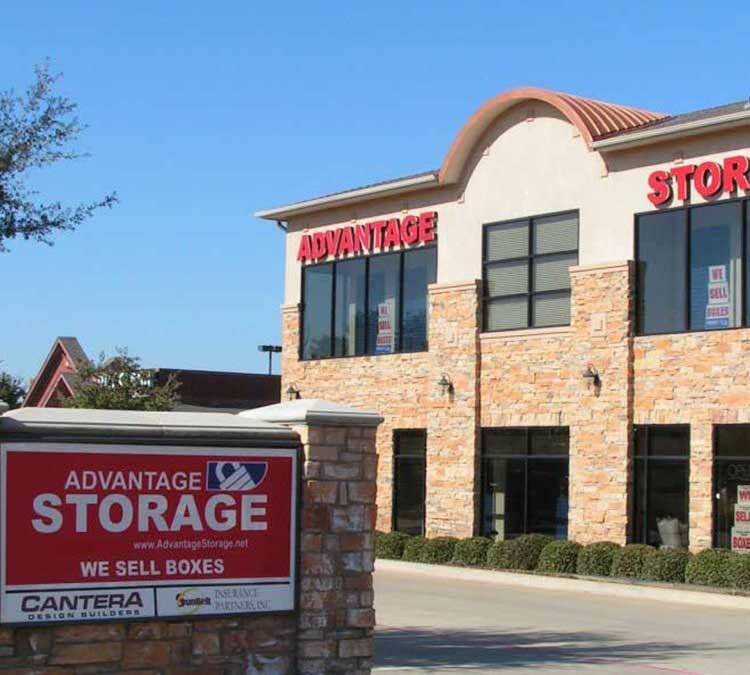 Does Advantage Storage - Highland Village sound like the place for your storage needs? Contact us today or come on down to see all we have to offer!